If you haven’t heard, Facebook has a version of Messenger targeted to kids. This is a stand alone app on IOS and Android. The app is appropriately called Messenger Kids, and is a newer messaging app designed specifically for children between the ages of six and 12. It does not require a Facebook account, which makes sense, considering law says children under the age of 13 can’t have a Facebook account. At launch, it was just available for IOS but now is on Android as well. The app is geared with kids in mind and you can tell this by the look and feel of app. Facebook described the standalone app as an easier way for children to safely video chat and message with family and friends when they can’t be together. Kids can use it to video chat with a grandparent or message a cousin or send a decorated photo to a friend. The app is controlled through a parent’s Facebook account, and it does not require the child to have an actual Facebook account since it is a stand alone app they will download to their own device. The app itself is fun with child appropriate filters and stickers for chat and video calls and they can start a one on one or group video chat with only parent approved contacts. They can also see when their contacts are online, and then they can send them photos, videos, or text messages. Kids can also access a library of child-appropriate GIFS, stickers and masks. Adult friends will receive their messages via the regular Facebook Messenger app so there is not a need to download multiple messengers for parents. I think this was a great move by Facebook to at least show they are trying to help with safety and children messaging apps on mobile devices. Obviously there are risks to any online messaging but at least they are trying to lock it down as much as they can. Kudos Facebook. Sarahah is an app developed by Zainalabdin Tawfiq. If you haven’t heard of this or seen anything about it, then get ready. It is already here and is the talk of the kids with school starting back. This app originated and has been growing in Saudi Arabia and Egypt with the biggest growth to date in India. With the amount of growth, it was a matter of time before it hit the United States…and guess what, it is here. The Sarahah app is meant for sending and receiving feedback from others, anonymously. The creators described it by saying: Sarahah helps people self-develop by receiving constructive anonymous After you create a Sarahah profile, which anyone can visit (with or without account) people can visit your profile and leave messages, anonymously. If they have logged in, messages are still anonymous by default, but users can choose to tag their identity. On the receiving side, all the messages show up in an inbox where you can flag messages, delete them, reply, or favourite them. Parents must remember anonymity enables people to act out and behave in sometimes harmful ways without consideration for others. Even positive reviews still warn that this app is not for the weak but is marketed as a social interaction tool. If you scroll through the reviews that people are leaving, you will see a common thread of people receiving mean messages. You can remove your profile from search results, limiting the people who you share your profile with, and you can also turn off access for unauthorised users. Right now you cannot right back which is a feature they are currently changing. You can also block senders, so you will never see any further messages. This seems like a sandbox for cyber bullying. We need to monitor this app very closely. This isn’t the first anonymous messaging app we’ve seen that took off. You have read my other reviews in past with Yik Yak, Secret and even Whisper. Sarahah’s seems to look more at private messaging and less on social media, and so visiting another users’ profile won’t show anything, unless they choose to make the posts public. This app doesn’t even require a login or account if you don’t want one. This is a first for this style app. The email addresses you register with is usually a tool for marketing to generate income for the company. As you can see, I gave this app a very high threat level. Do to its booming success and growth with kids, We need to remember anonymity apps such as this are really dangerous and cannot be monitored the way they need to be. Once negative anonymous messages are received, emotionally the damage is done to our children. Bubble Chat is a free app designed by a company named Hit Labs. It appears this is Hit Labs first app for the Social Media genre and they went all in. Group texting has slowly become popular with teens and adults. I see my daughters using apps such as GroupMe and iMessage group texting with their friends. My daughters cheer team and gymnastics team utilize the group feature of GroupMe. You also see circles of friends of your children getting involved in group messaging to stay connected. So what is Bubble Chat? Bubble chat is a group texting app that has added a few extra features to make it stand out ahead of the competition. When you first download the app, it asks you what kind of group you are wanting to start. Sporting group, friend group, etc. The app will then ask for your phone number to confirm you do have a number to associate it with. After these couple of steps to setup, you are ready to start your group. The app makes you select one person to add to the group before the group is created. Once your group is live, you can then add more people to it. The app uses data to send messages rather than using your texting plan through your cell phone. Most text driven apps use data, either cellular or wifi depending on what you are connected to. notice in the lower menu there is a button for live video chat and also a menu of “celebrities” you can invite to your chat. I didn’t recognize any of the celebrities myself. They stated they were anything from professional models to MMa fighters. How often one of these so called celebrities will ever jump into someone’s chat is beyond me. Bubble Chat having this celebrity feature draws in curiosity from children. The live video chat feature is something that the many other competing group texting app doesn’t have. You can select the live chat and immediately start sharing live video with up to 10 people in your group. This is a good feature for the app, but unsupervised children and live video chat do not mix well. Adults or monitored chat for your children would be preferred for this feature. Add the “celebrity” chat and now you could have your children inviting strangers or so called celebrities to their chat groups. or live video streams. Other members of your groups or “bubbles” must have the app installed on their devices as well. The live chat feature along with inviting “celebrities” to your bubbles, is what bumped this group texting app up to a high threat level. Make sure if you let your kids use Bubble chat, you stay on top of who they are in chats with and especially who they are live chatting with in the video streams. Live me is an app developed by KS mobile Inc. It appears from a quick search, this company has been involved with a handful of applications for iPhone and android devices. Their library consists of anything from picture collage editing apps to live video streaming apps. It appears they took a jab at the photo sharing app. Live me however being the one app it appears they have put the most time into for all the features available. Live me advertises itself as the number 1 way to watch live streaming videos with video chat. With the growth of the app by Twitter called Periscope and also Facebook live video status updates, now is the time to get on the mainstream media train when it comes to live streaming apps. People are wanting to stream their content live instead of posting videos or still images. We started seeing a turn when it comes to broadcasting where a lot of tv reports are now streaming all their media live on several different streaming platforms. As for Live me, it appears from the advertisements attempting to market to younger adults but it does have a 17 plus rating in the description of app in App Store. It says the plus 17 rating is for infrequently crude humor, mild profanity and mild sexual content. Also mature, suggestive scenes. I realize this is a generic description in the app comments on why it is a plus 17 rating, so remember this if a child tries to download this app to their device. This app after download has a lot of the familiar looks of other social media apps. Once an account is made and profile set with email address, you are ready to stream yourself live over the app. The style looks and has the feel of an Instagram or other photo sharing style apps. You can follow other people and be notified when they start a live stream. Once a live stream is started you can hear and see whatever they are streaming and are able to make comments, and share stickers at the bottom of the screen. 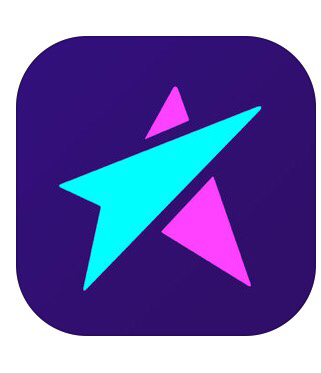 They advertise pretty hard the fact that they want this to be the number streaming app for celebrities by advertising ‘Connect with the top stars and become the next big viral celebrity yourself’. The app also allows you to send hearts as people are streaming and also allows you to send comments that appear to float off your screen in attempt to get viewers of streamers attention. So basically this app is a mix of the more popular live streaming services in Facebook and Periscope. You can also search hashtags for different topics and search for more than 500,000 ways to explore the users. You can see who follows them or find new people to follow based off other users preferences. I gave this app a high threat level due to the app being able to love stream content. At the time of my download and review however I did not see any pornographic or x rated content from users. I am assuming the company puts filters on this type of content and monitors it closely. This app is however intended for adult use but with the growth of this style of live steaming style apps, I encourage you as parents to make sure what your children are streaming and why. You can look at your child’s account inside live.me either by following them with an account of your own or by seeing on their device they intend to stream from. Most importantly for this app or any live streaming app, monitor who they are following or who is following them. As with anything live, you never know who might be on the other side of this app viewing. Remind your kids that once they put something out on an app or the internet, it is gone forever. People could use that against them. Stay safe with this one. Adults only for any live streaming content or monitored at every use by a parent. Down To Lunch or also known as DTL. Is an app available for Android and IOS for free. The company that develops the app is named Nikil. They have launched several small social media and pic editing apps, but this seems to be the most popular for them. The app is called Down to Lunch or DTL and that is exactly what this app is for. This app is to connect people in a simple way on how to hook up for common events such as Lunch. Basically a scheduling app that people can see what their friends are doing to meet up with them. They advertise this to be a way to find another friend that is interested in eating lunch with you or hang out without having to call or text them. You just set the event up inside the DTL app. There are many other choices that you can select the meet up location for other than lunch like go to Church, go swimming or go to a movie. The app is designed for easy use and simplicity. When you log in to the app for the first time, it does require you to register with your phone number. I am assuming this is how it sees other users and allows you to connect to them. After it sends you a text message to verify your account it then requires access to all your contacts. It will search to see if anyone else in contacts uses the app. If not, it allows you to send a text message to invite them to the app. You then are ready to select the date, time and location of your meet up. You can select different generalized predetermined things to do, like meet for lunch, meet for Basketball, meet for party .. etc. You then send out invitation to others that are people using the app as well. You will also notice there is a reward system. The more people you invite, the more more reward coins you receive. These coins are used to unlock different meeting places. These more specific ones are grayed out until you unlock them. Some examples are, go Drink, go blaze (as in marijuana), go play beer pong. These are the categories I would prefer my underage child to stay away from and not know about, while the free categories are mainly harmless (meet for lunch, church, sporting activities..etc. After the invites have been sent to make the meet up, you can then chat with the people in the group that is going. These are your friends or people that are going to group. This is good because of the fact that people you are inviting and chatting with are people you know and can view the messages …. but how about your friends who invite others. This app was intended for adults and parents should know the chat feature and also some of the adult topics you can choose. If your going to allow your child to use this app be sure to monitor their friends and what they are meeting up to do especially if they unlock the topics that are drinking or marijuana related. On another note, I went to developers website and noticed on their home page they have been victim of some harsh allegations that they are defending. From reading their page, someone has reviewed or flamed them with being part of a human trafficking ring. They obviously defended that and said they take no part in it and we’re actually asking users to tweet this was not true. On my review, I did not see any indicator of these allegations. It might of been a competitor trying to hurt their app downloads and slamming them with some untrue reviews. Just remember this app does have adult content on the subjects that must be unlocked first, but it’s still there and visible even if you don’t unlock those categories. I gave the app a high threat level due to several of the things I discussed in review. The most being references to alcohol and narcotics use. This app was developed and designed for adults. Just when you thought it was safe to get back on the app store. I am now a believer, as you should as well that when it comes to social connection in an app, there are many things that tie people together. Whether it be a hobby or a similar interest that is what social networking is about. But what if that similar interest was something illegal. Would you want your child to be exposed to it? Would you want your child being connected to others that are exposed to it? 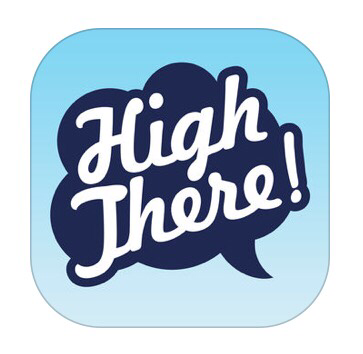 The app is called High There and created by the company Bon vert, Inc. Just as you are probably already thinking from the name of the app about what it is about, you can assure yourself now that you are correct. This app is called High there .. yes ‘High’ as a reference to being High on drugs. Marijuana to be specific. The app wants you interact and join the worldwide users of marijuana to make new smoking circles. Of course it says for adults, but kids know about this app as well, hence me talking about it. This app is described to be a social media app for Marijuana enthusiasts. The company has created this social network as a way to expand your smoking circle and to make new friends that enjoy smoking marijuana. When you create your account you set your consumption, mood and energy preferences and then you are ready to connect with others. The look and feel is a mix of instagram style app. This app allows you to search and connect with others that enjoy marijuana. Through the app, you can see how far away the user is from you, see their photos posted and also connect with them one on one in a private chat. There is a way to search the trending hashtags that are advertised as #homegrown, #greenmile, #dopeaf and many more. They are clever in their play on words as well offering Daily Joints and encouraging you to ‘roll” your own daily joints by tapping the leaf. They do stress that the app is not a place to post pictures of cannabis or consumption of cannabis instead they encourage profile photos that are of the user as a person in culture, and as someone to connect with. But, with that being said. I don’t want my kid having any access to an app that promotes the use of an illegal narcotic. I also do not want them connecting to others that use illegal narcotics. Be diligent in watching the download que for this app. Parents should not want their children being exposed to anything illegal. Rabbit is described as the next generation conferencing app. 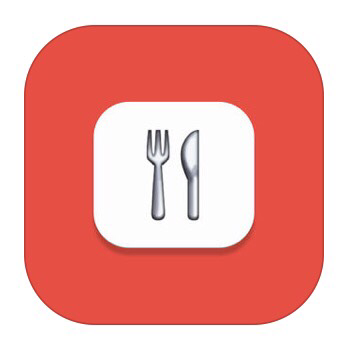 The idea all began back in February of 2013 with an app for the Mac. A year later they launched their website and included the web based client. 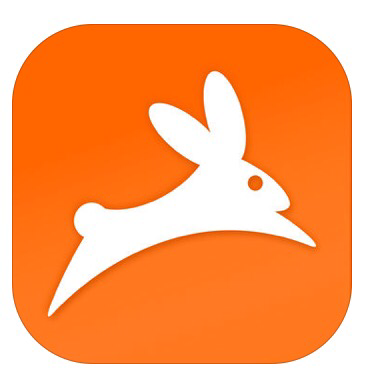 By 2015, Rabbit was being noticed and became one of the top video conferencing app while beginning to create their mobile app for phones and tablets. In October of 2015 the app went live on the Apple App Store and continues to pick up momentum. Rabbit is a chat room / video conferencing app that allows its users to share a website in their chat screen so that they can shop together or watch videos such as you tube or Netflix and basically any other website. It is a way to chat and share with the other person while you both viewing the same website in your chat room. Rabbit describes itself as a great way to hang out and watch a movie with your long distance partner. So how does this work? You could basically describe this as a texting app similar to KIK, wechat, or whatsapp with a web browser at the top of your screen. So there is chat room at the bottom and web browser at the top of your screen. It allows chatting while watching whatever is in the web browser at top of screen. You can share your “Rabbitcast” with a quick copy of a link and send to others. Once you download Rabbit, it requires you to created an account. Like most apps now you can either use your Facebook account to login or create a username and password with your email address. Once you fill out for login, or click login with Facebook then you are ready to invite others to chat. In my opinion, this app would be great if there was a long distance relationship and you wanted to watch a Netflix series together while chatting about it. As for your children, you would need to monitor the sharing very close. One thing I did notice, Rabbit does not filter adult sites. So anything that has a website can be shared and chatted about in chat room at the same time for multiple chatters to view. I gave this app a moderate threat level due to the app being able to access any website to share. Monitor this one closely and ask your children what they are sharing while chatting if you allow them to use this app.